This forecast was published 03/18/2019 at 6:57 AM. 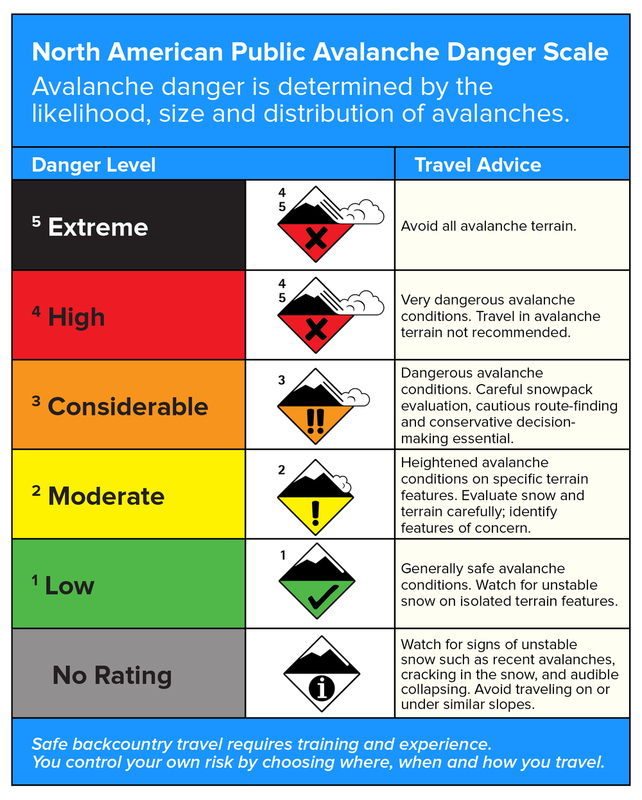 This is an archived avalanche forecast and expired on 03/18/2019 at midnight. A robust melt/freeze crust that demands the use of crampons and an ice axe is topped with isolated areas of recently formed wind slabs. Avoiding these wind slabs can be accomplished by staying on the crust, though the hazard of long, sliding falls is equal to, if not greater, than the avalanche hazard today. 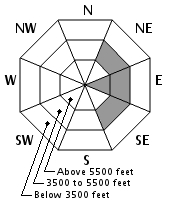 Even triggering a small avalanche today will likely result in a sliding fall. All our forecast terrain has LOW avalanche danger today. 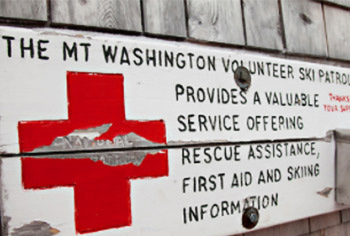 Wise travelers will include discussing the consequences of a fall into their route selection today and may even rope up and use fall protection for 3rd-class terrain. A cold weekend allowed our snowpack to refreeze after the thaw last week. A few inches of snow on Saturday followed by another trace Sunday afternoon was coupled with wind from the west that stayed between 50 and 80 mph for the duration of the weekend. Low level moisture today will keep the higher summits shrouded with clouds before high pressure moves in and clears the skies. Current snow flurry accumulation should be limited to a trace this morning. West wind is hovering around 50 mph this morning and will decrease to 30-45 mph by early afternoon. Cold and dry conditions will continue through tomorrow. Wind slab that formed from 2.3” of snow and extreme west wind on Saturday can be found in isolated areas of our avalanche terrain. 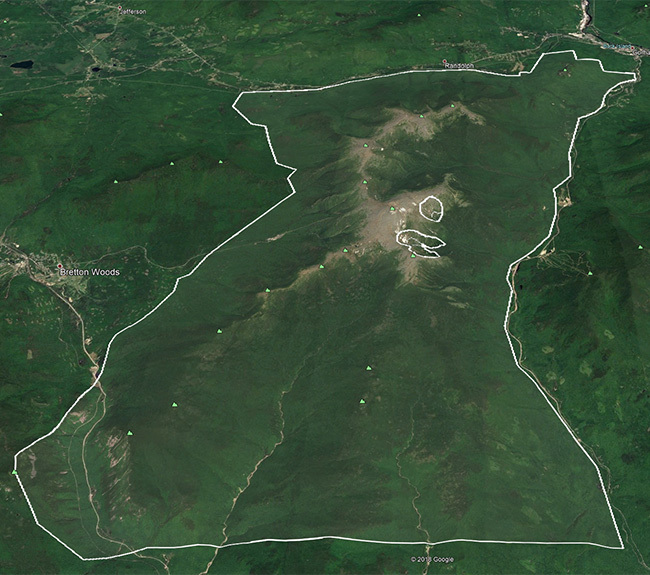 The largest of these wind slabs are in areas with a due east aspect, but expect to find pockets of wind slab that are not wall-to-wall on slopes that face NE or SE due to cross-loading. Enhanced contrast in a photo of Left Gully yesterday highlights the difference between the shiny melt/freeze crust and the dull-looking wind slab. Today’s avalanche problem can be identified from afar by its whiter appearance or lack of sheen in comparison to refrozen older snow. 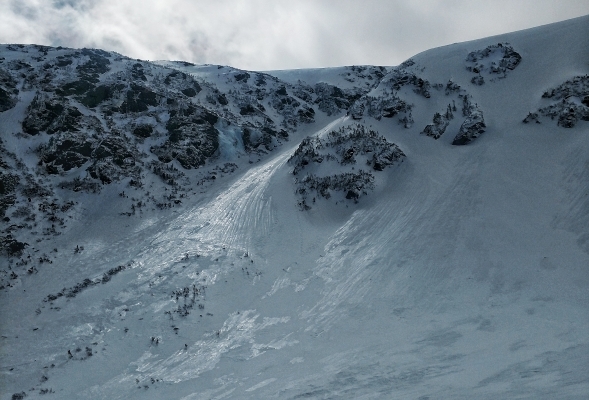 These wind slabs can be easily avoided on most slopes, though seemingly stubborn to trigger. Stability concerns in our snowpack prior to this past weekend were eliminated due to the thaw that occurred Wednesday through Friday. The melt/freeze crust that resulted from this thaw is supportable and has turned much of avalanche terrain into an alpine skating rink that is primed for long, sliding falls. New snow on Saturday arrived on high wind speeds that created isolated areas of wind slab. Though this snowfall began several hours after temperatures dropped below freezing on the summit, the resulting wind slab appears to have bonded well to the old snow. New snow is firm in exposed areas while softer snow can be found under cliffs or in the lee of other terrain features. These softer areas will provide the better skiing, but also offer the locations that are more likely to propagate a crack. Observations yesterday found a slight upside structure to the new snow, but hand shears required significant force to get the overlying slab to fail. 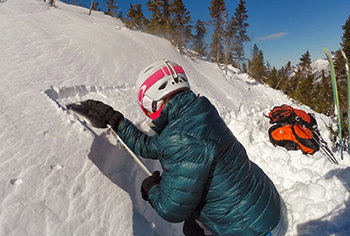 Considering an avalanche airbag pack? Take advantage of our current auction for the Black Diamond Saga 40 airbag pack, ending tonight at 8pm. 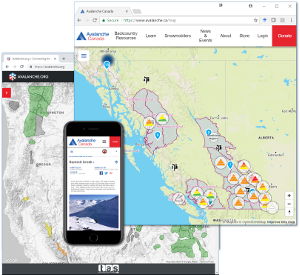 Increase your margin of safety AND support your avalanche center! Don’t miss our last avalanche awareness presentation of the season, free to attend, this Tuesday evening at Plymouth State University. Posted 03/18/2019 at 6:57 AM.